If you listen closely, you can almost hear the collective groan from children across Minnesota as their summer vacation comes to an end. To help ease their pain and get them excited for the upcoming school year, North Community YMCA is hosting a Back to School Carnival on Saturday, August 25, from 1-6 pm in their parking lot. The carnival will include all the usual things kids enjoy from games & prizes, face painting, and a live DJ, to the always-popular bouncy house. It will also offer things kids need like free haircuts, healthcare screenings and nutritious food. Through the generous support of the American Heart Association, MATTERbox meal kits and snack packs will be available for free to those attending the carnival. A MATTERbox meal kit is so much more than simply a box of food. It’s a “nutrition activator,” helping people take their first steps toward a healthier life. Filled with nutritious shelf-stable foods, recipes, and nutrition education, it’s a teaching tool to help families balance their diet, shop healthy on a budget and create healthy meals. The American Heart Association has long been championing the importance of good nutrition for the health and well being of children and families. 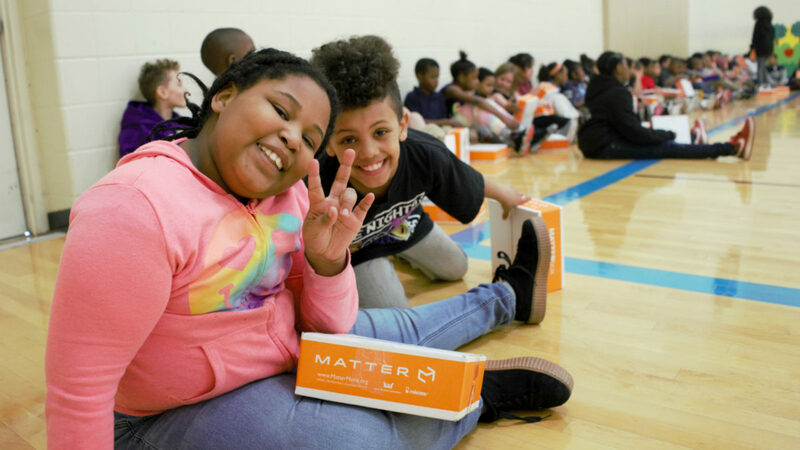 MATTER is honored to support their efforts to increase access to healthy eating and nutrition education through the distribution of our MATTERbox meal kits and snack packs.